Our lives have changed much here in Ireland in the last five years, I don’t need to tell you that. For many of us times are tight, things are tough; I see it in my own life and livelihood to a degree. Yet in the midst of dramatic change, there are some aspects of life that remain constant – the need for community, for coming together and sharing, for experiencing certain things as a group rather than as individuals. Music is one of those great parts of life which allows us to do this and Con Brio works hard to provide us with such opportunities – to experience together the excellence of first-rate musicians playing first-rate music. be unfair to single out specific concerts as all are worthy of your attention and all will be filled with music worth hearing. It is important that we continue to support such a venture; I believe the cultural life of Sligo would be much poorer without such an enterprise and it is not done out of self-regard or the seeking of praise – rather, these concerts are presented to us because in and of themselves, they are valuable: valuable in content, valuable in experience. Join with us in celebrating artistic achievement and the joy of community. Belfast-born Ian Wilson’s music has been performed and broadcast on six continents and presented at many festivals around the world including the BBC Proms and Venice Biennale. He is a member of Aosdána, Ireland’s state-sponsored body of creative artists. 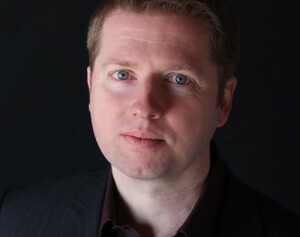 He has been programme advisor to Con Brio for over 10 years.